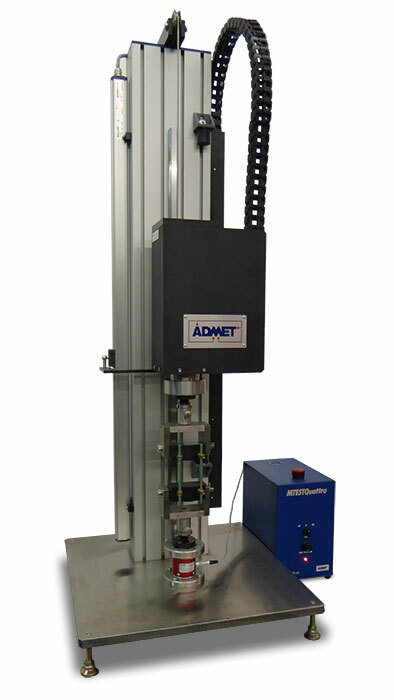 Available in vertical or horizontal setups, eXpert 9000 torsion testing systems typically feature a variety of grips and fixtures to accommodate testing of orthopedic devices such as bone screw testing, spinal constructs, and intramedullary rods. The torque drive spindle is mounted on a sliding tailstock or dual columns and to accommodate different length specimens. 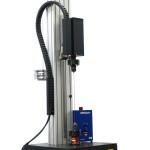 The system applies torque at user programmed rate while MTESTQuattro records torque and angle data and reports Torsional Yield Strength, Max, Torque and Breaking Angle and more. 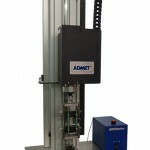 Dead weight system which includes a pulley with ball bearings for applying a pull force on the drive spindle r acting as a counter balance to drive spindle weight. 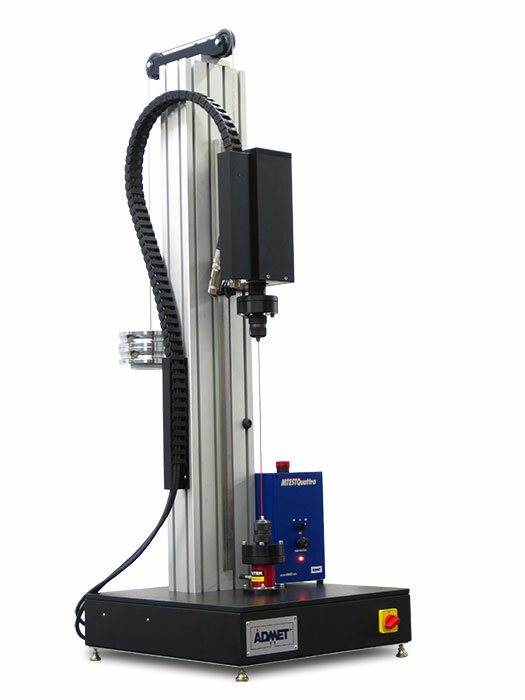 Secondary load cell for measuring axial tension/compression forces is available. 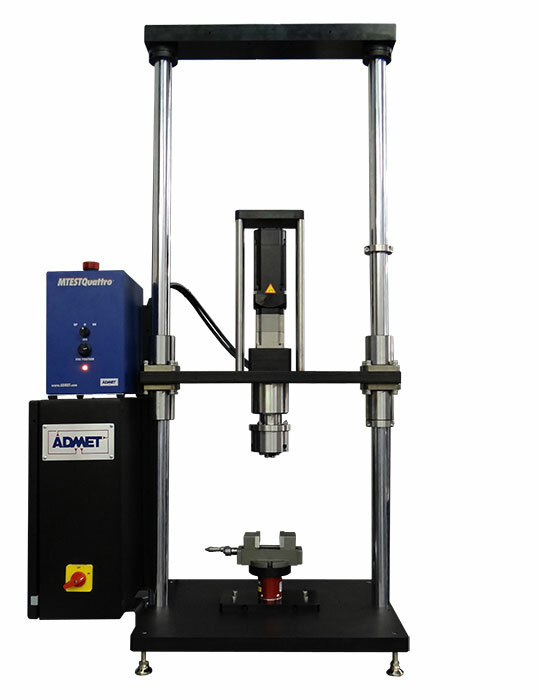 Displacement transducer for measuring axial movement of the drive spindle is available. Have a quick question about orthopedic torsion testing?